It is a common environmental concern: America’s hardwood forests are smaller than ever. They are being cut down but not replenished, replaced instead by suburban sprawl and industrialization. But before anyone starts jumping to conclusions, let’s first explore the facts. In December 2013, the USDA (United States Department of Agriculture) Forest Service released the results of their 2012 study on hardwood forest supplies in the United States. For lumber industry professionals and anti-industry protesters, the facts are astounding and uplifting. In summary: the U.S. has significantly more hardwood lumber than previously thought. In 2011, the eastern states saw a net growth of roughly 10 billion cubic feet of hardwood. Obviously, some of that net growth was cut down—but not as much as industry critics thought. Of the 10 billion cubic feet, the lumber industry harvested only 42 percent—roughly 4.2 billion cubic feet—or otherwise removed it for urban expansion, leaving 58 percent untouched. The vast majority of people fail to recognize that the conservation and sustainability of hardwood forests is not only a top priority for environmentalists, but also for the businesses that rely on lumber, such as construction companies and pallet manufacturers. 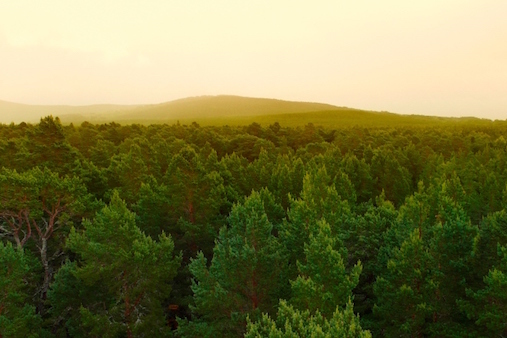 The focus on sustainability among hardwood-dependant industries is actually driving forest regeneration efforts: there are also more trees being planted than ever before. It’s true that only half the number of lumber mills that existed eight years ago are still in operation. But it’s also true that each one in operation is busier than ever before. The upswing is fairly recent. Each year produces a net growth of hardwood trees, which increases the hardwood inventory. There’s been a consistent net growth since 1997; and since 2007, reports indicate that hardwood stock has increased in almost every hardwood-producing state. Even in those few states where the inventories have not increased, they remain significantly higher than they were 60 years ago. Since the late 1990s, there have been unnecessary concerns about not only the quantity of hardwoods, but also their individual sizes. While the peak size in 1997 was between 9-11 inches in diameter, over the next 15 years that number grew to 13–15 inches. Not only do we have more hardwood trees than we did 60 years ago, they’re larger and better preserved than at any time in recent history. The lumber industry is more invested than ever in the long-term sustainability of our forests. The majority of business owners understand and recognize the importance of being environmentally conscious in order to ensure they will have the resources needed to continue operations for many years to come. The future looks bright, and we’re happy to be a part of it.